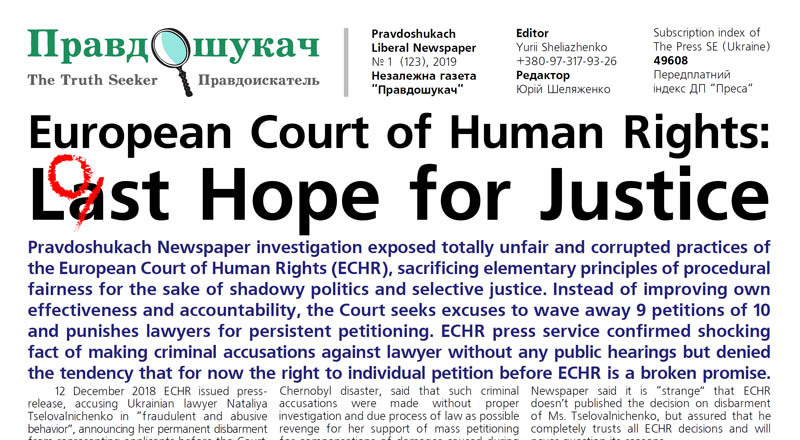 Pravdoshukach Newspaper investigation exposed totally unfair and corrupted practices of the European Court of Human Rights (ECHR), sacrificing elementary principles of procedural fairness for the sake of shadowy politics and selective justice. Instead of improving own effectiveness and accountability, the Court seeks excuses to wave away 9 petitions of 10 and punishes lawyers for persistent petitioning. 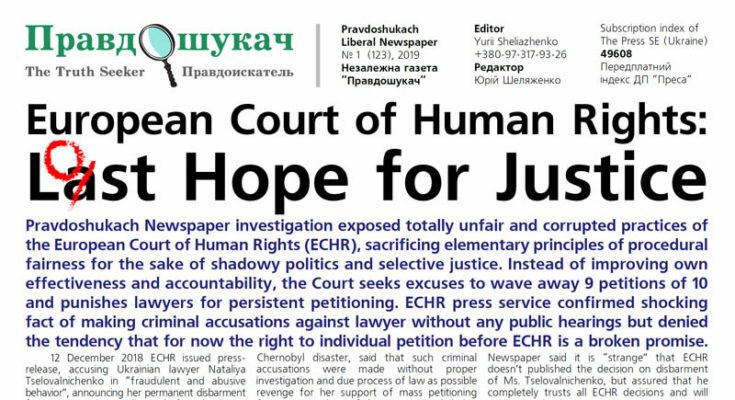 ECHR press service confirmed shocking fact of making criminal accusations against lawyer without any public hearings but denied the tendency that for now the right to individual petition before ECHR is a broken promise.